A gas leak refers to a leak of natural gas or other gaseous product from a pipeline or other containment into any area where the gas should not be present. Because a small leak may gradually build up an explosive concentration of gas, leaks are very dangerous. In addition to causing fire and explosion hazards, leaks can kill vegetation, including large trees, and may release powerful greenhouse gases to the atmosphere. Union Carbide India Limited (UCIL) was a chemical company established in 1934, eventually expanding to employ 9,000 people working at 14 plants in five divisions. UCIL was 50.9% owned by Union Carbide and Carbon Corporation (UCC) and 49.1% by Indian investors including the Government of India and government-controlled banks. UCIL produced batteries, carbon products, welding equipment, plastics, industrial chemicals, pesticides and marine products. 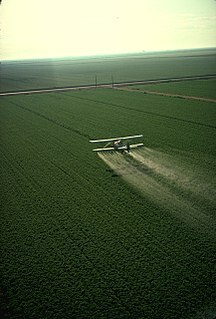 Pesticides are substances that are meant to control pests, including weeds. The term pesticide includes all of the following: herbicide, insecticides nematicide, molluscicide, piscicide, avicide, rodenticide, bactericide, insect repellent, animal repellent, antimicrobial, fungicide and disinfectant (antimicrobial). The most common of these are herbicides which account for approximately 80% of all pesticide use. Most pesticides are intended to serve as plant protection products, which in general, protect plants from weeds, fungi, or insects. Estimates vary on the death toll. The official immediate death toll was 2,259. The government of Madhya Pradesh confirmed a total of 3,787 deaths related to the gas release. A government affidavit in 2006 stated that the leak caused 558,125 injuries, including 38,478 temporary partial injuries and approximately 3,900 severely and permanently disabling injuries. Others estimate that 8,000 died within two weeks, and another 8,000 or more have since died from gas-related diseases. The cause of the disaster remains under debate. The Indian government and local activists argue that slack management and deferred maintenance created a situation where routine pipe maintenance caused a backflow of water into a MIC tank, triggering the disaster. Union Carbide Corporation (UCC) argues water entered the tank through an act of sabotage. The Government of Madhya Pradesh also known as the State Government of Madhya Pradesh, or locally as State Government, is the supreme governing authority of the Indian state of Madhya Pradesh and its 52 districts. It consists of an executive, led by the Governor of Madhya Pradesh, a judiciary and a legislative branch. In 2000, the state broke up into two, Madhya Pradesh and Chhattisgarh. The latter has it's own government. Eveready Industries India Ltd. (EIIL), formerly Union Carbide India Limited, is the flagship company of the B.M. Khaitan Group. The Eveready brand has been present in India since 1905. McLeod Russel India Ltd is an Indian tea company. It is currently the world's largest tea growing company. The Dow Chemical Company, commonly referred to as Dow, is an American multinational chemical corporation headquartered in Midland, Michigan, United States, and the predecessor of the merged company DowDuPont. In 2017, prior to the merger, it was the second-largest chemical manufacturer in the world by revenue and the third-largest chemical company in the world by market capitalization. It ranked second in the world by chemical production in 2014. Warren Martin Anderson was an American businessman who served as Chairman and CEO of the Union Carbide Corporation at the time of the Bhopal disaster in 1984. Laws of India refers to the system of law in modern India. India maintains a hybrid legal system with a mixture of civil, common law and customary or religious law within the legal framework inherited from the colonial era and various legislation first introduced by the British are still in effect in modified forms today. Since the drafting of the Indian Constitution, Indian laws also adhere to the United Nations guidelines on human rights law and the environmental law. Certain international trade laws, such as those on intellectual property, are also enforced in India. Carbaryl is a chemical in the carbamate family used chiefly as an insecticide. It is a white crystalline solid commonly sold under the brand name Sevin, a trademark of the Bayer Company. Union Carbide discovered carbaryl and introduced it commercially in 1958. Bayer purchased Aventis CropScience in 2002, a company that included Union Carbide pesticide operations. It remains the third-most-used insecticide in the United States for home gardens, commercial agriculture, and forestry and rangeland protection. About 11 million kilograms were applied to U.S. farm crops in 1976. As a veterinary drug, it is known as carbaril (INN). Methyl isocyanate (MIC) is an organic compound with the molecular formula CH3NCO. Synonyms are isocyanatomethane, methyl carbylamine and MIC. Methyl isocyanate is an intermediate chemical in the production of carbamate pesticides (such as carbaryl, carbofuran, methomyl, and aldicarb). It has also been used in the production of rubbers and adhesives. As a highly toxic and irritating material, it is extremely hazardous to human health. It was the principal toxicant involved in the Bhopal disaster, which killed 3,787 people initially and officially 19,787 people in total. Methylamine is an organic compound with a formula of CH3NH2. This colorless gas is a derivative of ammonia, but with one hydrogen atom being replaced by a methyl group. It is the simplest primary amine. It is sold as a solution in methanol, ethanol, tetrahydrofuran, or water, or as the anhydrous gas in pressurized metal containers. Industrially, methylamine is transported in its anhydrous form in pressurized railcars and tank trailers. It has a strong odor similar to fish. Methylamine is used as a building block for the synthesis of many other commercially available compounds. Bayer AG is a German multinational pharmaceutical and life sciences company and one of the largest pharmaceutical companies in the world. Headquartered in Leverkusen, where its illuminated corporate logo, the Bayer cross, is a landmark, Bayer's areas of business include human and veterinary pharmaceuticals; consumer healthcare products; agricultural chemicals and biotechnology products; and high-value polymers. The company is a component of the Euro Stoxx 50 stock market index. Werner Baumann has been CEO since 2016. Manufacturing cost is the sum of costs of all resources consumed in the process of making a product. The manufacturing cost is classified into three categories: direct materials cost, direct labor cost and manufacturing overhead. A UCIL employee triggered the plant's alarm system at 12:50 a.m. as the concentration of gas in and around the plant became difficult to tolerate. Activation of the system triggered two siren alarms: one that sounded inside the UCIL plant, and a second directed outward to the public and the city of Bhopal. The two siren systems had been decoupled from one another in 1982, so that it was possible to leave the factory warning siren on while turning off the public one, and this is exactly what was done: the public siren briefly sounded at 12:50 a.m. and was quickly turned off, as per company procedure meant to avoid alarming the public around the factory over tiny leaks. Workers, meanwhile, evacuated the UCIL plant, travelling upwind. Formal statements were issued that air, water, vegetation and foodstuffs were safe, but warned not to consume fish. The number of children exposed to the gases was at least 200,000. Within weeks, the State Government established a number of hospitals, clinics and mobile units in the gas-affected area to treat the victims. The Government of India refused the offer from Union Carbide and claimed US$3.3 billion. The Indian Supreme Court told both sides to come to an agreement and "start with a clean slate" in November 1988. Eventually, in an out-of-court settlement reached in February 1989, Union Carbide agreed to pay US$470 million for damages caused in the Bhopal disaster. The amount was immediately paid. UCC's laboratory tests in 1989 revealed that soil and water samples collected from near the factory were toxic to fish. Twenty-one areas inside the plant were reported to be highly polluted. In 1991 the municipal authorities declared that water from over 100 wells was hazardous for health if used for drinking. In 1994 it was reported that 21% of the factory premises were seriously contaminated with chemicals. Beginning in 1999, studies made by Greenpeace and others from soil, groundwater, well water and vegetables from the residential areas around UCIL and from the UCIL factory area show contamination with a range of toxic heavy metals and chemical compounds. Substances found, according to the reports, are naphthol, naphthalene, Sevin, tarry residues, alpha naphthol, mercury, organochlorines, chromium, copper, nickel, lead, hexachlorethane, hexachlorobutadiene, pesticide HCH (BHC), volatile organic compounds and halo-organics. Many of these contaminants were also found in breast milk of women living near the area. Soil tests were conducted by Greenpeace in 1999. One sample (IT9012) from "sediment collected from drain under former Sevin plant" showed mercury levels to be at "20,000 and 6 million times" higher than expected levels. Organochlorine compounds at elevated levels were also present in groundwater collected from (sample IT9040) a 4.4 meter depth "bore-hole within the former UCIL site". This sample was obtained from a source posted with a warning sign which read "Water unfit for consumption". Chemicals that have been linked to various forms of cancer were also discovered, as well as trichloroethylene, known to impair fetal development, at 50 times above safety limits specified by the U.S. Environmental Protection Agency (EPA). In 2002, an inquiry by Fact-Finding Mission on Bhopal found a number of toxins, including mercury, lead, 1,3,5 trichlorobenzene, dichloromethane and chloroform, in nursing women's breast milk. In 1999, a Hindi film dealing with the tragedy, Bhopal Express , was released. The film stars Kay Kay Menon and Naseeruddin Shah. Numerous actions have been performed: demonstrations, sit-ins, hunger strikes , marches combined with pamphlets, books, and articles. Every anniversary, actions are performed. Often these include marches around Old Bhopal, ending with burning an effigy of Warren Anderson. Important international actions have been the tour to Europe and United States in 2003,  the marches to Delhi in 2006 and 2008, all including hunger strikes, and the Bhopal Europe Bus Tour in 2009. At least 14 different NGOs were immediately engaged. The first disaster reports were published by activist organisations, Eklavya and the Delhi Science Forum. 1 2 Mandavilli, Apoorva (9 July 2018). "The World's Worst Industrial Disaster Is Still Unfolding". The Atlantic . Retrieved 10 July 2018. 1 2 "Bhopal trial: Eight convicted over India gas disaster". BBC News . 7 June 2010. Archived from the original on 7 June 2010. Retrieved 7 June 2010. 1 2 Varma, Roli; Daya R. Varma (2005). "The Bhopal Disaster of 1984". Bulletin of Science, Technology and Society. 25: 37–45. doi:10.1177/0270467604273822. 1 2 "Madhya Pradesh Government : Bhopal Gas Tragedy Relief and Rehabilitation Department, Bhopal". Mp.gov.in. Archived from the original on 18 May 2012. Retrieved 28 August 2012. 1 2 AK Dubey (21 June 2010). "Bhopal Gas Tragedy: 92% injuries termed "minor"". First14 News. Archived from the original on 26 June 2010. Retrieved 26 June 2010. 1 2 3 4 5 6 7 8 9 10 11 12 13 14 15 16 17 18 19 20 21 22 23 24 25 26 27 28 29 30 31 32 33 34 35 36 37 38 39 40 41 42 43 44 45 46 47 48 49 50 51 52 53 54 Eckerman, Ingrid (2005). The Bhopal Saga—Causes and Consequences of the World's Largest Industrial Disaster. India: Universities Press. doi:10.13140/2.1.3457.5364. ISBN 978-81-7371-515-0. ↑ "Company Defends Chief in Bhopal Disaster". New York Times. 3 August 2009. Retrieved 26 April 2010. ↑ "U.S. Exec Arrest Sought in Bhopal Disaster". CBS News. 31 July 2009. Retrieved 26 April 2010. ↑ Carbon monoxide, Phosgene and Methyl isocyanate. Unit Safety Procedures Manual. Bhopal: Union Carbide India Limited, Agricultural Products Division. 1978. 1 2 3 4 Kovel (2002). ↑ Ward, Ken Jr. (18 March 2011). "Bayer gives up fight to restart Institute MIC unit". The Charleston Gazette. Retrieved 24 September 2013. 1 2 3 4 Eckerman, Ingrid (2006). "The Bhopal Disaster 1984 – working conditions and the role of the trade unions" (PDF). Asian Pacific Newsletter on Occupational Health and Safety. 13 (2). Archived from the original (PDF) on 16 July 2011. ↑ Hazarika, Sanjoy. "INDIAN JOURNALIST OFFERED WARNING" . Retrieved 2 October 2018. 1 2 3 The Week (2012). How to be really well informed in minutes. Croydon: Ebury Press. pp. 222–225. ISBN 978-0-09194-706-4. 1 2 3 "UT Austin College of Engineering -- Ethics Modules :: Go Public". apps.engr.utexas.edu. Retrieved 9 June 2016. 1 2 Agarwal, S. K. (1 January 2005). Wealth from Waste. APH Publishing. p. 131. ISBN 9788176488235. 1 2 3 4 Times, Stuart Diamond, Special To The New York (30 January 1985). "THE DISASTER IN BHOPAL: WORKERS RECALL HORROR". The New York Times. ISSN 0362-4331 . Retrieved 7 June 2016. ↑ "What Triggered the Disaster? | International Campaign for Justice in Bhopal". bhopal.net. Retrieved 7 June 2016. ↑ Jones, Tommy Ray (16 April 2015). "Remembering Bhopal: NES Workshop 2015". 1 2 3 "The Phoenix Sun | Disaster Politics | Bhopal to Copenhagen". thephoenixsun.com. Retrieved 7 June 2016. ↑ Narrator: Ashton Smith (10 October 2011). "Bhopal Nightmare". Seconds from Disaster. Season 4. Episode 6. 5:45 minutes in. Nat Geo. 1 2 3 "The Bhopal Disaster (India's Environment 1984-85)" (PDF). Archived from the original (PDF) on 28 May 2016. 1 2 Bell, Michael Mayerfeld; Ashwood, Loka L. (1 July 2015). An Invitation to Environmental Sociology. SAGE Publications. p. 164. ISBN 9781452275789. 1 2 3 4 5 D'Silva, The Black Box of Bhopal (2006). ↑ Havens J, Walker H, Spicer T (30 September 2012). "Bhopal atmospheric dispersion revisited". Journal of Hazardous Materials. 233–234: 33–40. doi:10.1016/j.jhazmat.2012.06.055. PMID 22819479. ↑ Varadarajan S; et al. (1985). Report on Scientific Studies on the Factors Related to Bhopal Toxic Gas Leakage. New Delhi: Indian Council of Scientific and Industrial Research. ↑ "1985 Pablo Bartholomew WY". World Press Photo. Retrieved 9 June 2016. 1 2 3 4 5 6 7 8 9 10 11 "Chronology". Bhopal Information Center, UCC. Archived from the original on 24 September 2001. Retrieved 30 August 2012. 1 2 "19 Apr 1985, Page 56 - Arizona Republic at Newspapers.com". $5 million in relief offered to gas-leak victims. Retrieved 7 June 2016. ↑ Pappu, Sridhar (December 2006). "The Bhopal Evasion". Mother Jones . Retrieved 7 June 2014. ↑ Martin, Douglas (30 October 2014). "Warren Anderson, 92, Dies; Faced India Plant Disaster". The New York Times. New York Times. Retrieved 8 August 2017. 1 2 3 4 5 6 7 8 9 10 11 Eckerman, Ingrid (2001). Chemical industry and public health. Bhopal as an example (PDF). Gothenburg, Sweden: Nordic School of Public Health. ↑ Sharma DC (2013). "Bhopal study represents "missed opportunity"". The Lancet. 382 (9908): 1870. doi:10.1016/s0140-6736(13)62562-3. ↑ Masi, Alex; Sanjay Verma; Maddie Oatman (2 June 2014). "Photos: Living in the Shadow of the Bhopal Chemical Disaster: Thirty years after the Union Carbide leak killed thousands, residents are still dealing with contaminated water, toxic waste, and lingering diseases". Mother Jones . Retrieved 7 June 2014. ↑ "Bhopal Memorial Hospital closed indefinitely". The Hindu. 4 July 2005. Retrieved 30 August 2012. ↑ "Time line" (PDF). Bhopal Memorial Hospital Trust. Archived from the original (PDF) on 6 April 2012. Retrieved 30 August 2012. ↑ "The Bhopal Medical appeal". Sambhavna Trust. 1 2 Presence of Toxic Ingredients in Soil/Water Samples Inside Plant Premises. USA: Union Carbide Corporation. 1989. 1 2 "Bhopal Gas Tragedy Relief and Rehabilitation Department". Government of Madhya Pradesh. 5 December 2008. Retrieved 30 August 2012. ↑ "Carbide waste to go: HC". The Times of India. 16 December 2008. Retrieved 7 January 2009. ↑ "Centre to pay Rs 25 crore to dump Bhopal waste in Germany". The Times of India. 9 June 2012. Retrieved 30 August 2012. ↑ Venkatesan, J. (10 August 2012). "Supreme Court orders disposal of Bhopal toxic waste in six months". The Hindu. Retrieved 30 August 2012. ↑ "US court absolves Union Carbide of liability in Bhopal tragedy". The Times of India. 28 June 2012. Retrieved 30 August 2012. ↑ Lakshmi R (9 January 2012). "Curating a Bhopal People's Movement: An Opportunity for Indian Museums". Curator the Museum Journal. 55: 35–50. doi:10.1111/j.2151-6952.2011.00119.x. ↑ Press Institute of India (1985). Data India. Press Institute of India. p. 166. Retrieved 1 August 2012. ↑ Press Institute of India (1985). Data India. Press Institute of India. p. 322. Retrieved 1 August 2012. 1 2 Broughton, Edward (2005). "The Bhopal disaster and its aftermath: a review". Environmental Health. 4 (6): 6. doi:10.1186/1476-069X-4-6. PMC 1142333 . PMID 15882472. ↑ Anand, Anil (24 June 2010). "Bhopal gas tragedy: Extra aid to help just 42,000 victims — India — DNA". DNA news. Retrieved 28 August 2012. ↑ Dipankar De Sarkar (22 June 2010). "BP, Bhopal and the humble Indian brinjal". Hindustan Times . Archived from the original on 25 January 2013. Retrieved 26 June 2010. 1 2 3 4 5 Kalelkar AS, Little AD (1988). Investigation of Large-magnitude Incidents: Bhopal as a Case Study. London: Presented at the Institution of Chemical Engineers conference on preventing major chemical accidents. Archived from the original on 8 December 2015. 1 2 3 4 5 6 7 8 9 10 11 12 13 Chouhan TR; et al. (2004) . Bhopal: the Inside Story — Carbide Workers Speak Out on the World's Worst Industrial Disaster. US and India: The Apex Press and Other India Press. ISBN 978-1-891843-30-3. and. ↑ Steven R. Weisman (5 December 1985). "Bhopal a Year Later: An Eerie Silence". The New York Times. p. 5. 1 2 3 Kurzman (1987). ↑ Bhopal Methyl Isocyanate Incident. Investigation Team Report. Danbury, CT: Union Carbide Corporation. 1985. 1 2 Varadarajan S; et al. (1985). Report on Scientific Studies on the Factors Related to Bhopal Toxic Gas Leakage (PDF). New Delhi: Indian Council for Scientific and Industrial Research. ↑ The Bhopal Gas Tragedy 1984- ? A report from the Sambhavna Trust, Bhopal, India. Bhopal People's Health and Documentation clinic. 1998. 1 2 3 "Statement of Union Carbide Corporation Regarding the Bhopal Tragedy". Bhopal Information Center. Archived from the original on 4 September 2012. Retrieved 30 August 2012. ↑ Bhopal Methyl Isocyanate Incident. Danbury, CT: Union Carbide Corporation. 1985. ↑ "Frequently Asked Questions". Bhopal Information Center. Union Carbide Corporation. November 2009. Archived from the original on 8 April 2010. Retrieved 4 April 2010. The Indian authorities are well aware of the identity of the employee [who sabotaged the plant] and the nature of the evidence against him. Indian authorities refused to pursue this individual because they, as litigants, were not interested in proving that anyone other than Union Carbide was to blame for the tragedy. ↑ "gas tradegy not an accident but sabotage, says convicted UCIL official". Hindustan Times . 21 July 2016. ↑ "Gas tragedy Counsel cries sabotage". Times of India . ↑ "Bhopal Gas tragedy: In court, defence names former employee as 'saboteur'". Indian Express . 13 November 2017. 1 2 3 4 "Frequently Asked Questions". Bhopal Information Center, UCC. Archived from the original on 8 April 2010. 1 2 3 "Incident Response and Settlement". Bhopal Information Center, UCC. Archived from the original on 3 January 2011. Retrieved 30 August 2012. ↑ "When the gas leaked, Arjun flew away to pray". The Bhopal Post. 7 July 2012. Retrieved 30 August 2012. ↑ Kidwai, Rasheed (3 July 2012). "When the gas leaked, Arjun flew away to pray". The Telegraph. Retrieved 30 August 2012. ↑ Gupta, Suchandana (10 June 2010). "Chief secretary told me to let Anderson go: Ex- Collector". The Times of India. Retrieved 30 August 2012. 1 2 Reuters (17 May 1988). "India Acts in Carbide Case". The New York Times. Retrieved 30 August 2012. ↑ "The Dow Chemical Company's Bhopal related legal liabilities". The Bhopal Medical Appeal. Retrieved 25 September 2015. ↑ Shaini, KS (30 September 2008). "No takers for Bhopal toxic waste". BBC. Archived from the original on 3 December 2009. Retrieved 1 January 2010. ↑ Chander, J. (2001). "Water contamination: a legacy of the union carbide disaster in Bhopal, India". Int J Occup Environ Health. 7 (1): 72–3. doi:10.1179/107735201800339696. PMID 11210017. ↑ Ram VS (2012). A Deterministic and Probabilistic Analyses of the Carbon Tetrachloride Contaminant Plume in Groundwater at the Former Union Carbide India Limited Factory in Bhopal, Madhya Pradesh, India (Thesis). Rollins School of Public Health. ↑ "Industrial Disaster Still Haunts India". MSN. 2 December 2009. Archived from the original on 7 December 2009. Retrieved 3 December 2009. 1 2 Labunska et al. (2003). 1 2 Down to Earth (2003). ↑ Stringer et al. (2002). 1 2 "What Happened in Bhopal?". bhopal.org. The Bhopal Medical Appeal. Retrieved 30 August 2012. ↑ Vickers, Paul (4 November 2004). "Bhopal 'faces risk of poisoning'". BBC news. Retrieved 30 August 2012. ↑ Vickers, Paul (14 November 2004). "Bhopal 'faces risk of poisoning'". BBC Radio 5 website. Archived from the original on 6 December 2009. Retrieved 1 January 2010. ↑ "Bhopal, a toxic legacy". Bhopal: CSE India. 1 December 2009. Archived from the original on 1 September 2012. Retrieved 30 August 2012. ↑ "Bhopal marks 25 years since gas leak devastation". BBC News. 3 December 2009. Archived from the original on 6 December 2009. Retrieved 1 January 2010. ↑ "Bhopal Now: The Enduring Tragedy". bhopal.org. Retrieved 23 June 2017. ↑ Twilton, Richard. "Interview: Jack Laurenson in Bhopal". Vimeo. Retrieved 23 June 2017. ↑ Tinsley, A; Ansell R (22 October 2011). "Bhopal's never ending disaster". The environmentalist. Retrieved 14 December 2011. ↑ Athitakis, Mark (31 July 2002). "A Breath of Fresh Air". San Francisco Weekly. ↑ Martin Tsai (13 November 2014). "Review 'Bhopal: A Prayer for Rain' an effective cautionary tale". Los Angeles Times. ↑ Roy, Arundhati (2017). The Ministry of Utmost Happiness. Knopf. p. 135. ↑ "Rashida Bee & Champa Devi Shukla". Goldman Environmental Foundation. ↑ "An Indian Muslim's Blog: News, Views & Urdu Poetry Website: Crusader for Victims: The Truth of Bhopal Gas Tragedy and its Aftermath-Part III". Anindianmuslim.com. 9 December 2009. Retrieved 25 October 2012. ↑ Media release – 23 April 2004 (23 April 2004). "Bhopal Victims Warn U.S. Government and Dow Chemical of Impending Catastrophe". Greenpeace. Retrieved 25 October 2012. ↑ "Dow Does The Right Thing". The Yes Men. Archived from the original on 23 September 2012. Retrieved 30 August 2012. ↑ "Dow". The Yes Men. Archived from the original on 10 August 2012. Retrieved 30 August 2012. ↑ "Corporate Responsibility". Zmag.org. 5 December 2004. Archived from the original on 16 December 2004. Retrieved 28 August 2012. ↑ "The Yes Men". The Yes Men. 12 May 2005. Archived from the original on 10 August 2012. Retrieved 28 August 2012. ↑ "Wikileaks GI release 2011". Wikileaks. Archived from the original on 27 August 2012. Retrieved 28 August 2012. ↑ "An example email report". Wikileaks. Archived from the original on 27 August 2012. Retrieved 28 August 2012. ↑ "Wikileaks Stratfor Surveillance" (PDF). ↑ "The Global Intelligence Files - Bhopal update - 03-31-11 Media". wikileaks.org. Retrieved 23 June 2017. ↑ "WikiLeaks: Dow Monitored Bhopal Activists". WSJ India Real Time. 29 February 2012. Retrieved 30 August 2012. ↑ "Swedish doctor banned from India and Bhopal". MyNewsdesk. Retrieved 4 December 2012. A chemical disaster is the unintentional release of one or more hazardous substances which could harm human health or the environment. Chemical hazards are systems where chemical accidents could occur under certain circumstances. Such events include fires, explosions, leakages or release of toxic or hazardous materials that can cause people illness, injury, or disability. Sunil Verma, himself a victim, was a campaigner for the rights of victims affected by the Bhopal disaster, the deadliest industrial disaster as of 2007. He testified in a case against the company when it came up for hearing in New York City in 1986. He formed the Children Against Carbide organization in 1987, when he was fifteen. Students for Bhopal (SfB) is an international network of students and supporters working in solidarity with the survivors of the Bhopal disaster – the world’s worst-ever industrial catastrophe - in their struggle for justice. Through education, grassroots organizing and non-violent direct action, SfB builds pressure against Dow Chemical and the Indian Government to uphold the Bhopalis' demand for justice, and their fundamental human right to live free of chemical poison. It was coordinated by Ryan Bodanyi, who founded the organization in 2003. The International Medical Commission on Bhopal (IMCB) was established in 1993 to organise medical responses to the 1984 Bhopal disaster (India). The International Campaign for Justice in Bhopal (ICJB) is a coalition of disaster survivors and environmental, social justice, progressive Indian, and human rights groups that have joined forces to hold the Indian Government and Dow Chemical Corporation accountable for the ongoing chemical disaster in Bhopal. The Sambhavna Trust Clinic, or Bhopal People's Health and Documentation Clinic, is a charitable trust run by a group of doctors, scientists, writers and social workers who have been involved with various aspects of the Union Carbide disaster in Bhopal, India, ever since its occurrence in December 1984. Bhopal: A Prayer for Rain is a 2014 historical drama film set amidst the Bhopal disaster that had occurred in India on 2–3 December 1984. It is directed by Ravi Kumar and features Martin Sheen, Mischa Barton, Kal Penn, Rajpal Yadav, Tannishtha Chatterjee, and Fagun Thakrar in important roles. Benjamin Wallfisch composed the film's music. Kumar got the idea of making a film based on the Bhopal disaster after he read a book based on it. Shot over a period of 18 months, it was originally slated for a late 2010 release. However, the lack of responses from distributors kept on delaying the release. Five Past Midnight in Bhopal: The Epic Story of the World's Deadliest Industrial Disaster is a book by Dominique Lapierre and Javier Moro based on the 1984 Bhopal disaster. It was first published in 1997 and the English edition was published in 2001. Champa Devi Shukla is an Indian activist from Bhopal. She was awarded the Goldman Environmental Prize in 2004, together with Rashida Bee. Shukla and Bee have struggled for justice for those who survived the 1984 Bhopal disaster, when 20,000 people were killed, and organized campaigns and trials against the responsible company and its owners. Gandhi Medical College is among the oldest and most prestigious medical colleges in Madhya Pradesh and in India, at Fatehgarh, Royal Market Area, Bhopal. 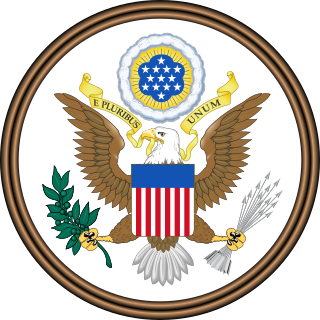 This is a list of notable events relating to the environment in 1984. They relate to environmental law, conservation, environmentalism and environmental issues. Rajkumar Keswani is a senior journalist. Keswani was the first journalist to bring attention to the safety lapses and impending Bhopal disaster that eventually came to pass at the town's Union Carbide pesticides plant overnight on 2–3 December 1984. Keswani had written several articles, from 1982 through 1984, detailing that safety standards at the plant were inadequate and that a catastrophic leak could result. The Remember Bhopal Museum is a museum in Bhopal, Madhya Pradesh, India that commemorates the Bhopal disaster. It collects and exhibits artifacts and records of the affected communities. The museum was opened on 2 December 2014, the 30th anniversary of the disaster. Indian environmental law concerns the law and policy of India concerning the protection of the environment, measures taken to reverse climate change and achieve a zero carbon economy. Broughton E (10 May 2005). "The Bhopal disaster and its aftermath: a review". Environmental Health. 4 (1): 6 pages. doi:10.1186/1476-069X-4-6. PMC 1142333 . PMID 15882472. Eckerman I (2011). "Bhopal Gas Catastrophy 1984: Causes and consequences". In Nriagu JO. Encyclopedia of Environmental Health. 1. Burlington: Elsevier. pp. 302–316. doi:10.1016/B978-0-444-52272-6.00359-7. ISBN 978-0-444-52272-6. Lepowski W (19 December 1994). "Ten Years Later: Bhopal". Chemical and Engineering News . Ranjan N, Sarangi S, Padmanabhan VT, Holleran S, Ramakrishnan R, Varma DR (2003). "Methyl Isocyanate Exposure and Growth Patterns of Adolescents in Bhopal Methyl Isocyanate Exposure and Growth Patterns of Adolescents in Bhopal". JAMA . 290 (14): 1856–7. doi:10.1001/jama.290.14.1856. PMID 14532313. Sriramachari S (2004). "The Bhopal gas tragedy: An environmental disaster" (PDF). Current Science . 86: 905–920. Archived from the original (PDF) on 30 October 2008. Wikimedia Commons has media related to Bhopal disaster .